How to get onsen-fresh skin without breaking the bank. Japanese women are known for their naturally healthy and glowing skin. While genetics are partly responsible for their complexion, they also make sure to adopt healthy habits and lifestyles—and we’re not just talking about their meticulous skincare routines. It may seem impossible to attain, but it’s really not. Here are some things you can incorporate into your lifestyle that will help you achieve onsen-fresh skin without having to go to a Japanese hot spring. You might have heard of the term onsen before—the Japanese term for hot spring baths. These natural baths usually contain minerals like sodium chloride and calcium that are known for their therapeutic properties and health benefits, leaving the skin fresh and luminous. If you don’t have access to an onsen, a nice, hot bath can do the trick. Taking hot baths regularly doesn’t just help you feel more relaxed; it can help remove dirt and toxins to help your skin look fresher. We all know how healthy the Japanese diet is, which is why incorporating healthy foods into your own should be a no-brainer. Eating foods rich in vitamins and minerals makes your body healthy inside and out. So if you want a porcelain-smooth skin, start loading up on fruits and vegetables. One common misconception about sunscreen is that it’s only necessary when the sun is out. Japanese women use sunscreen every day, no matter what the weather is outside. If you want to level up your skincare game, apply sunscreen before leaving the house. And make sure to reapply throughout the day! Green tea contains a variety of nutrients and has antioxidant and anti-aging properties that help flush out toxins from your body, which can promote healthier skin. But it can also be incorporated into your skincare regimen. Apply it directly onto your skin as a gentle toner or incorporate it into a homemade face mask. 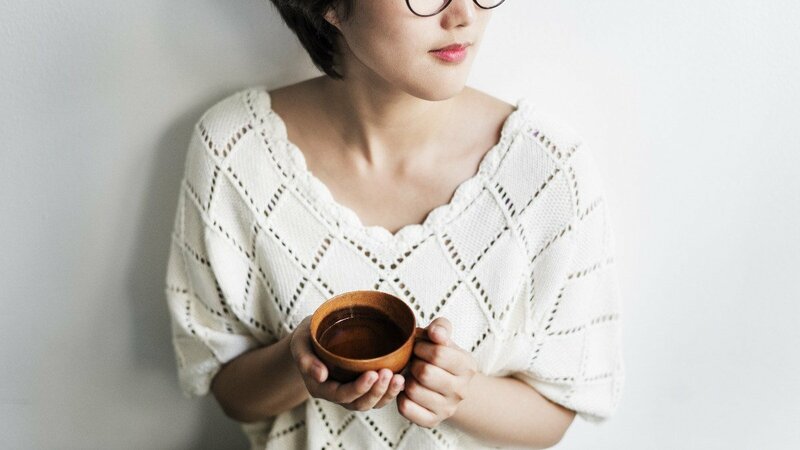 Some people infuse green tea into their hot bath as a pre-bedtime ritual, while the others enjoy a warm cup of green tea to cap off their meals. When it comes to choosing skincare products, it’s important to find one that works well for your skin type. Use products that are more gentle on the skin and contain skin-boosting ingredients. If you’re looking for some to incorporate into your beauty regimen, try the KojieSan Kojic Acid Lightening Soap. It contains all-natural kojic acid that helps diminish the appearance of dark spots and gives your skin a healthy glow. To learn more about how to get Japanese-smooth skin, watch this video and follow KojieSan on Facebook.